We want to ensure that your family is breathing the cleanest indoor air. We make it affordable for everyone to breathe clean indoor air. Did you just moved in? Do you smell a musty odor? Can you see cockroach or rodent droppings? Did you just complete remodeling or construction? 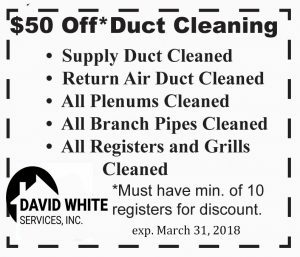 Have you had duct cleaning in the past 10 years? Did you know that dryer lint is the culprit for 16,000 clothes dryer fires annually? We can inspect, clean & repair dryer ducts, reducing your risk while we are cleaning your ducts.